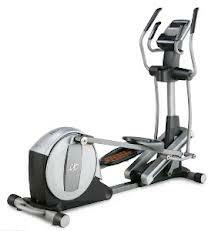 NordicTrack E7.0 Elliptical supports 16 level of resistance and 18 differnt workout programmes. Life warrany frame, adjustabel oversized pedals, adjustable stride, optional wireless chest strap, well gripped handle, ipot compatible etc are some of the key features of this elliptical. Users can stay motivated by monitoring their workout reports on the large backlit screen. *Note: Most of the sites, stores or shopping portals listed above sell NordicTrack E7.0 Elliptical with discounts and other exciting offers. There is a possibility that the some of above websites are not selling NordicTrack E7.0 Elliptical now. Toughtrain.com is not liable for such cases or instances. Also we do not recommend any seller for NordicTrack E7.0 Elliptical and a buyer should buy from where he/she gets best deal with quality of products, service and on time delivery (shipment).